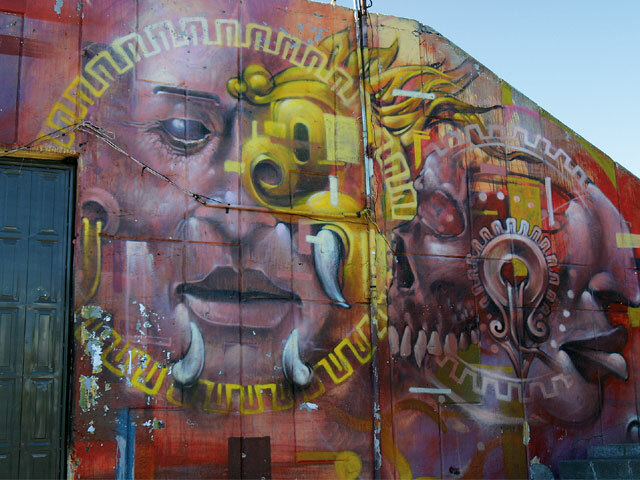 Mexican Artists Find Self-Expression Through Public Murals. 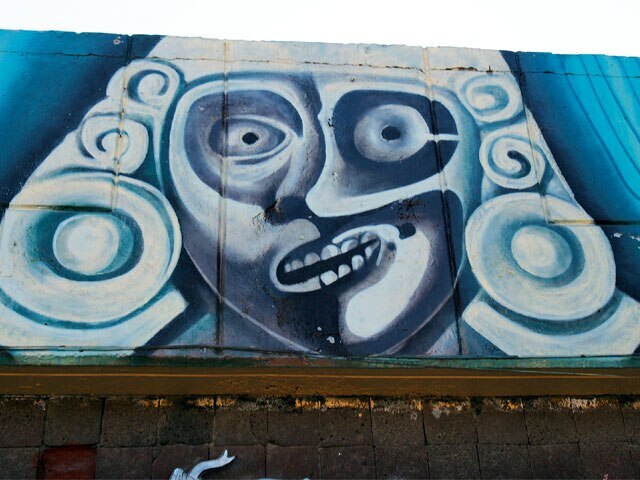 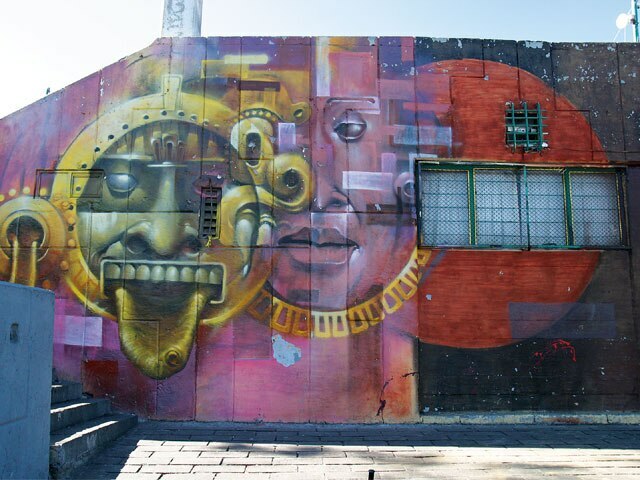 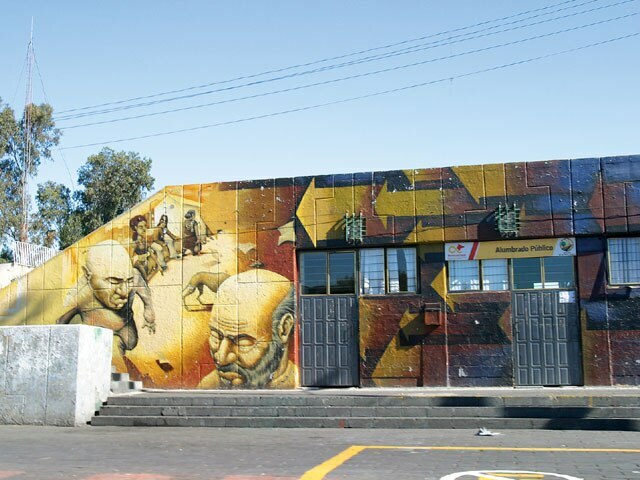 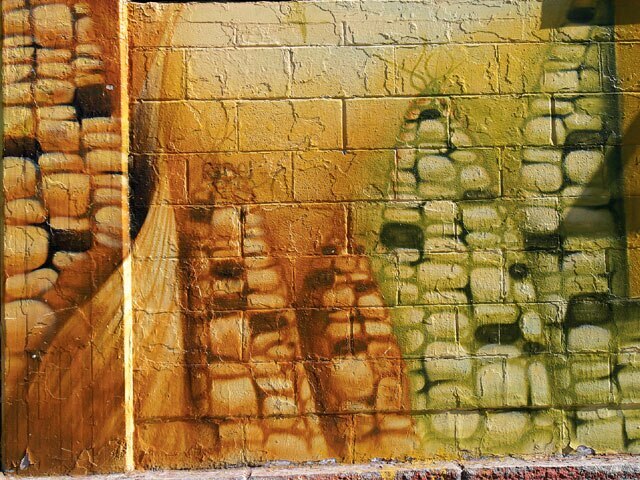 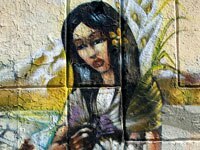 Mexican artists have created public murals for centuries, with some works being documented as far back as the 16th century, but modern Mexican graffiti-type murals can be traced to the early part of the 20th century, when artists such as Jos Clemente Orozco, Diego Rivera and David Alfaro Siqueiros covered walls with politically and culturally inspired murals. 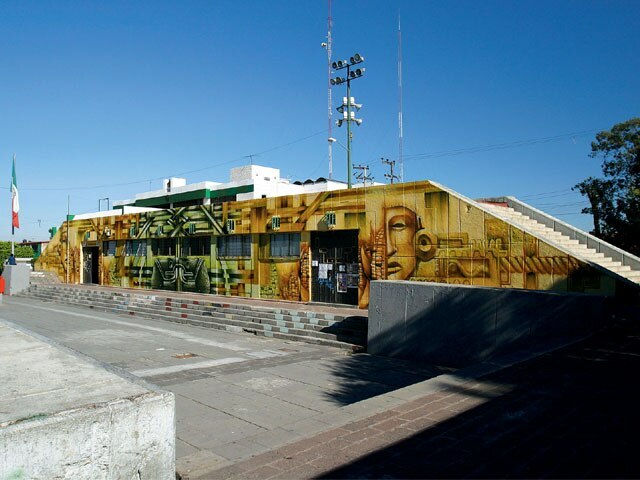 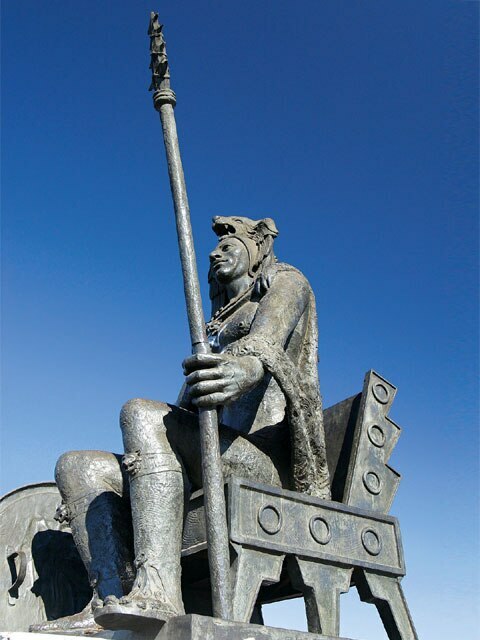 In 1921, Orozco, Rivera and Siqueiros were commissioned by the Mexican government to create public art, and the trio painted murals on the walls of public buildings around the country. 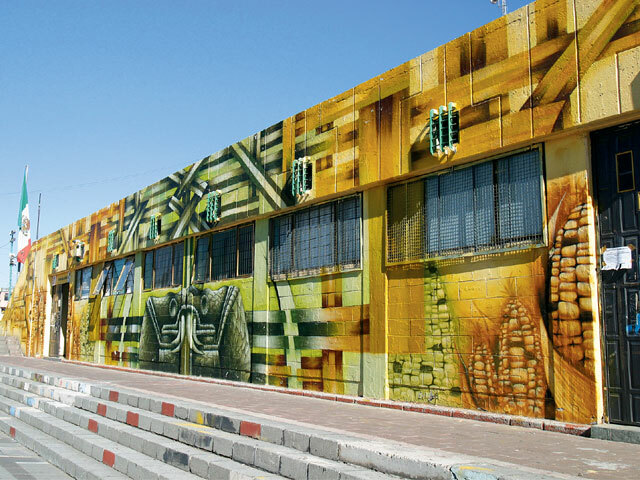 Their works offered social, national and religious themes. 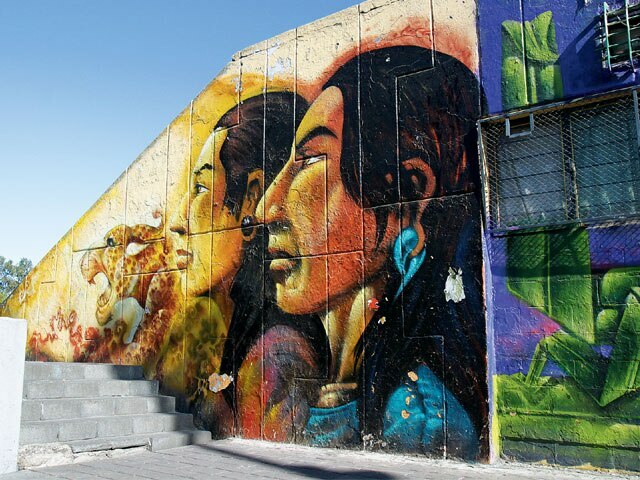 Each of the three artists achieved international acclaim and went on to create murals in the United States and elsewhere. 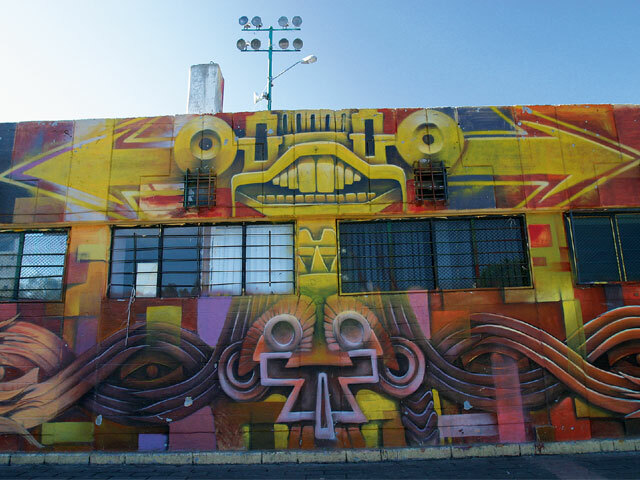 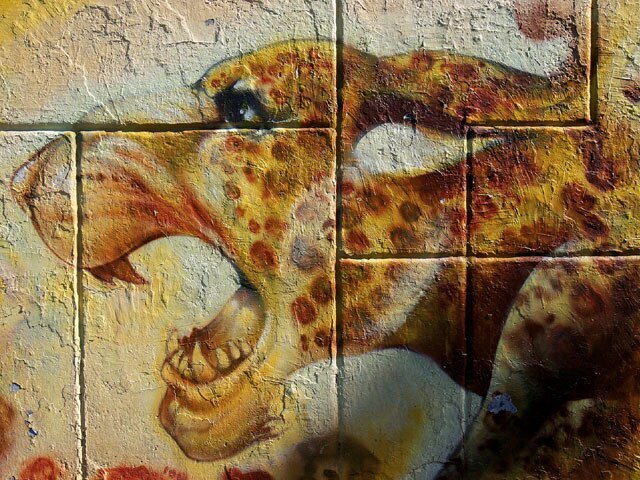 Since then, graffiti has been an important political tool for Mexican artists. 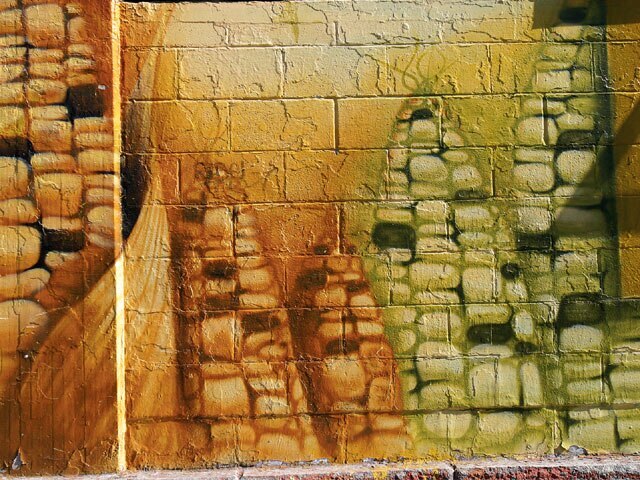 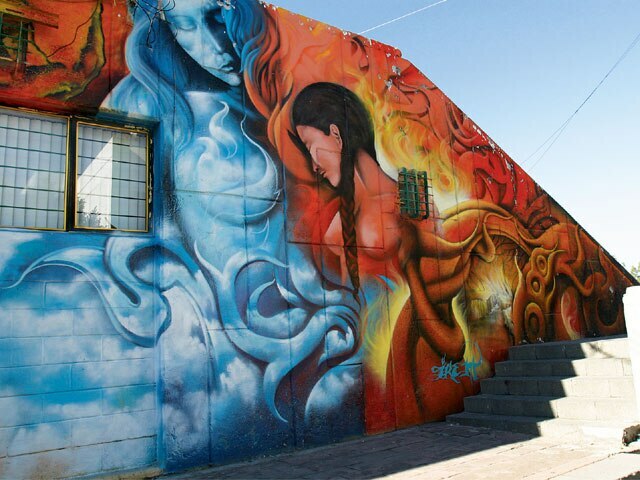 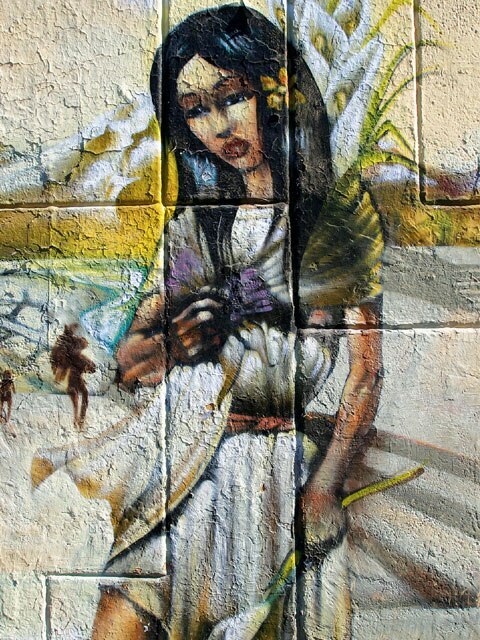 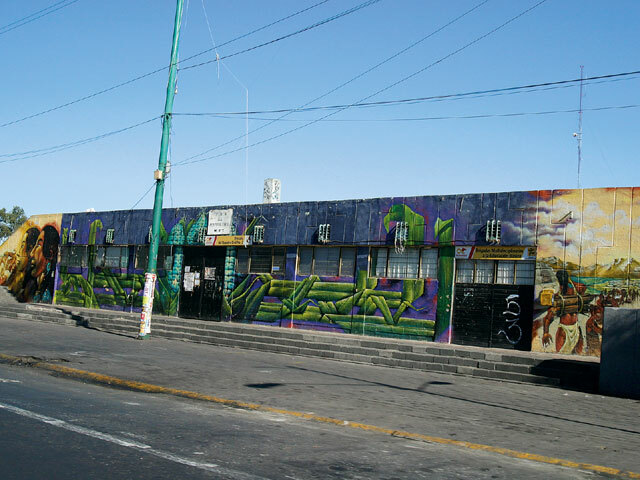 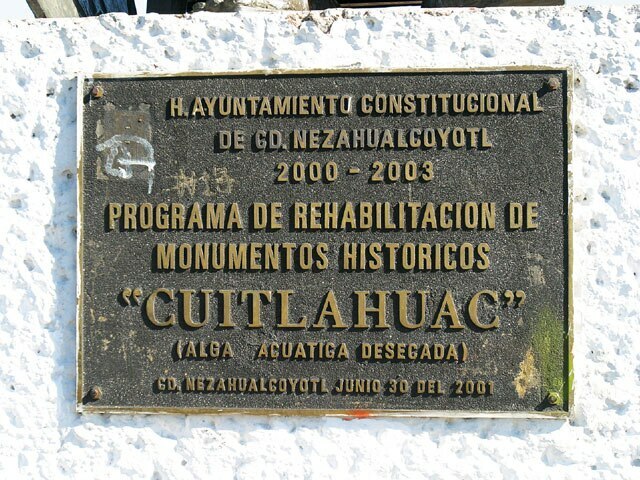 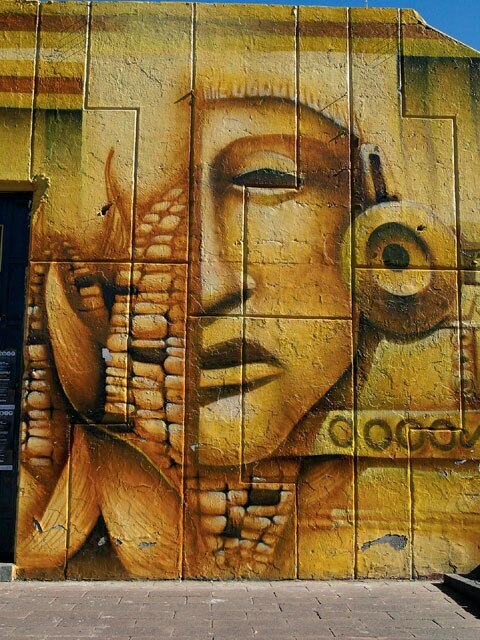 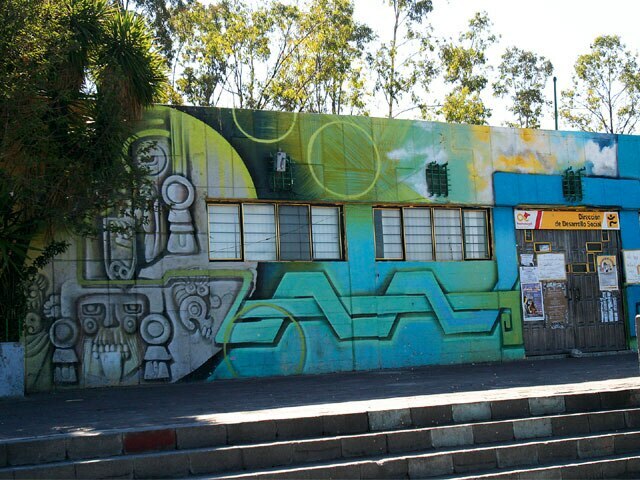 But, in Neza (Ciudad Nezahualcoyotl), a poor community near Mexico City, murals have become an important means for expression, maybe even survival. 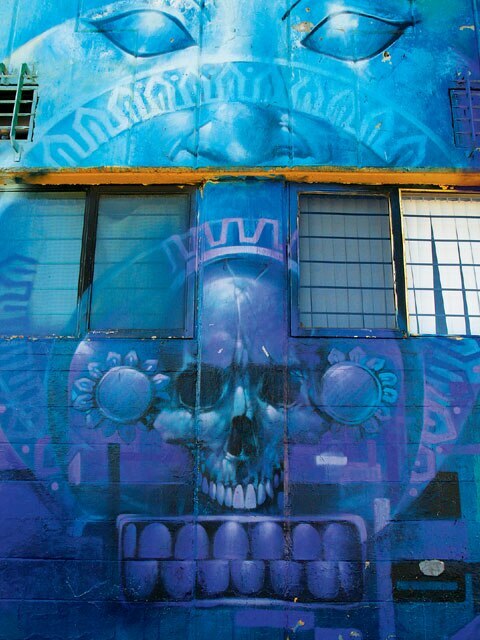 “It covers walls, even cars if they sit still too long,” says professor Randy Hanson in an online article by Cathy DeShano for Colby-Sawyer College. 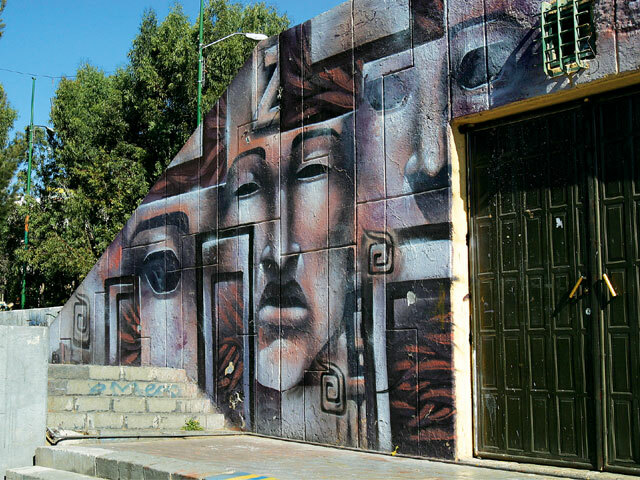 Mexican artists are known for making political statements in public spaces, and the walls of Neza are no exception. 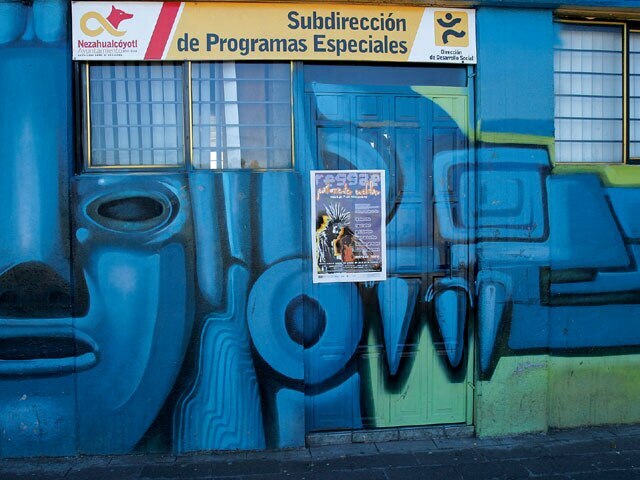 Images here support (or denounce) the country’s political parties, address globalization and advertise products. 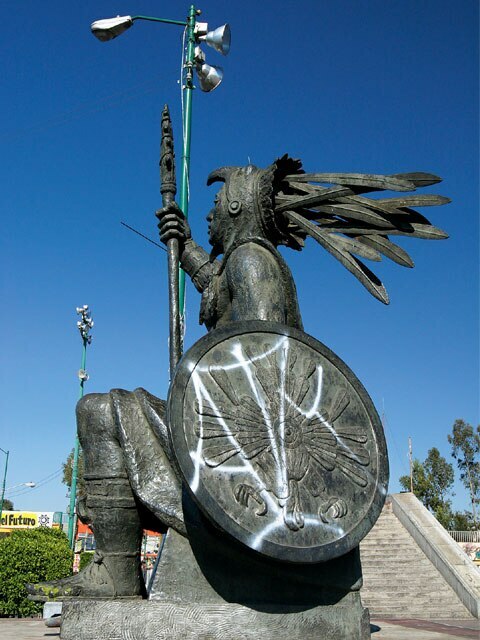 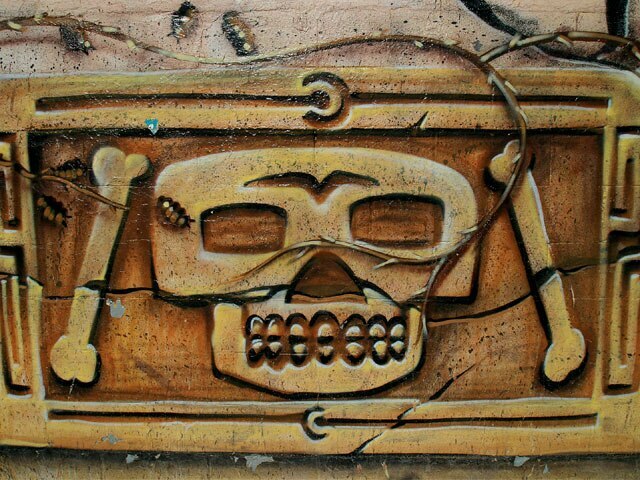 We also noticed an arresting amount of twisted Aztec imagery.